Bulgaria is showing its skin in the game by putting it all on the table. Known for the quality of its developers, this small country is stepping up to the plate and swinging for the fences, flipping the switch from the mob mentality of the 90s and going all in on technology for a different kind of future. A small country bordering some pretty intense crossroads on the globe. With Greece to the south and Turkey to the east, the cultural diversity of the area is vast. It’s Europe’s doorway to Asia and Africa alike, through the sometimes turbulent Middle-East, but most people I have met on my journey have left me with the impression that Bulgaria is still a pretty low key place on the international stage. I often get some weird responses when I tell people that I am going to Bulgaria. The response that gets me the most, is “Bulgaria?? Why?”. Even the locals I have encountered there cannot comprehend it. I have spent the better part of six months there over the past two years and personally I find the people to be engaged in something pretty great. Socially open to new encounters, sharing their culture, their story, their food, the countryside is beautiful, and it borders five other countries that are all worth exploring, not to mention the Black Sea… What is not to like? The country has seen its trials and tribulations, the fall of the communist party in 1989 meant the country could finally breathe and grow from the shackles of its former communist regime. The streets aren’t exactly made of gold today, but you can see a strong entrepreneurial spirit there. Millenials are starting to grow up and to show the world that Bulgaria has a place on the map. Certainly, it might be true that, statistically speaking, Bulgaria is the poorest country in the EU if you rank it by GDP, but that is bound to change in the next few years as it gets its footing in the tech and tourism industries. Sofia is one of the most vibrant developing cities in the Balkans. HackerRank regularly posts tens of thousands of new coding challenges for developers to improve their coding skills. Developers are scored and ranked based on a combination of their accuracy and speed. Bulgaria ranked an impressive 12th in their recent survey, across 1.2 million developers internationally, leaving Canada [21st] and the United States [28th] in the dust. Compared to the United States and most western European countries, the cost of living is over 50% less than the median and flat tax rates make it an appealing place for international investments or to start a tech company. With large companies like Microsoft, HP, and DXC, the business park in Sofia employs a large part of the countries population in the growing city and the talent pool is becoming more and more competitive as new companies form from within. The Bulgarian government is holding some serious coin, 213,519 BTC were seized back in May of 2017 making them, technically, the 2nd largest holder of the token. The nation has found itself somewhat uplifted by the statistic. The ICO boom of 2016 left Bulgaria with some pretty big names arising to the public realm. æternity raised upwards of $24.5 million USD during their token sale and have become a force to be recon with in the community, their scalable blockchain platform hosts some of the strongest dapps on the chain and through their accelerator program they are giving back to the industry what they can with some impressive showings. LockTrip.com, a hotel and vacation rental dapp has shown itself to remain stable through the volatile ups and downs we’ve experienced in the crypto market and will prove to give platforms like AirBnB and VRBO a run for their money once they go live with their offerings in 2019. The ICO spirit is still alive in the tight crypto community of Sofia, as developers and entrepreneurs gather regularly at meetups and conferences, you can see the spirit alive and well in applications that strive to make dApps a real and practical utility in the web 3.0 future. I would be remiss to fail a mention to platforms like evedo who are taking on massive industries, events management and ticket markets. evedo’s ecosystem offers a SaaS platform for the partners of the event industry [B2B], consolidating their agreements onto a smart contract that acts as an escrow for the ticket sales at 0% commission to the buyer of the ticket. Consumers can go directly to the ticketing platform [B2C] and circumvent any fraudulent tickets sales or manipulation of the ticket price by third parties. Event organizers just have to manage their event through evedo and voila, trust and transparency is baked into their supply chain. Event organizers, who could be a club or venue owner, an entertainer, organization or company can onboard their partners and receive tokens for bringing in users who use the platform productively. To create an event, select a date, a venue, or an entertainer and the workflow begins. After a negotiation step, all the partners can come to terms in agreement. Once all is approved, the arrangement is put into a smart contract and the event is published on the block. Large organizations and companies can subscribe to have branded marketplace, for exclusive ticket sales where they can drive and host community efforts and merchandise sales. Both the Events [B2B] and Tickets [B2C] platforms give tools to event organizers, entertainers, promoters, and staffing/equipment providers to manage their supply chain and advertise their offerings. Other initiatives helping the community at large have been recognized by the Ethereum foundation as well, the LimeChain technology take the developers interests into account by developing tools that make working with these new technology more accessible. Having helped IRIS.ai, PROPY, Vaultitude become mature and useable platforms, you will surely see them more and more in the background of dApps in 2019. Despite their turbulent history, the ever changing political environment, these initiatives will continue to develop and lock Bulgaria’s foothold as a key destination in the emerging “New Europe”. 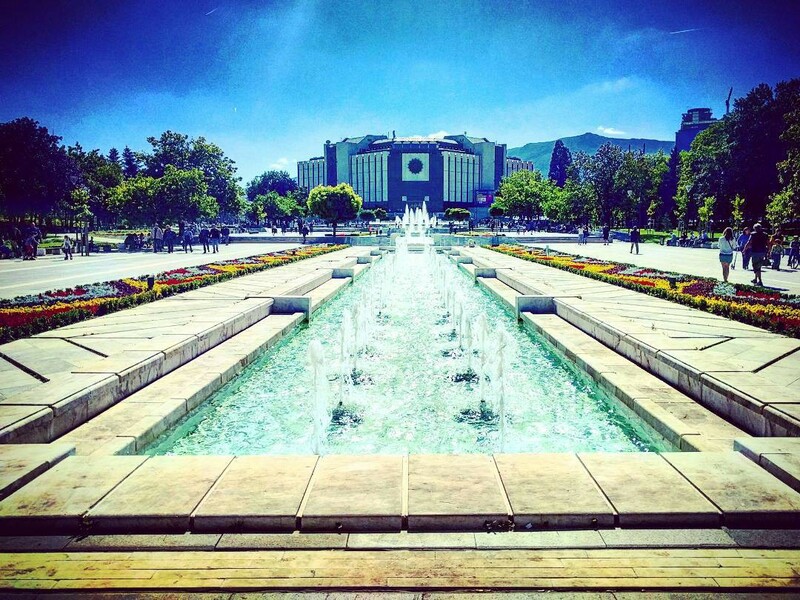 “It’s vitality and its dynamism as a destination will only become stronger and more apparent”, journalist Rebecca Stone’s piece paints Sofia in a bright light for the tourism industry. Behind the scenes, the tech industry of the country is not far behind it. Shopska and banitsa might forever be the first thing you think of when someone asks you about Bulgaria, it’s reputation on a global stage will precede itself in some other ways someday, soon. What have you heard about the tech scene in Bulgaria? Are there any other startups making waves that are worth a mention? Let me know in the comments below! I would love to hear your opinion. Founder, CTO, pragmatic polyglot, autodidactic maker, and adventurous seeker. I have lived and worked from 20+ countries developing web, software, and ideas.